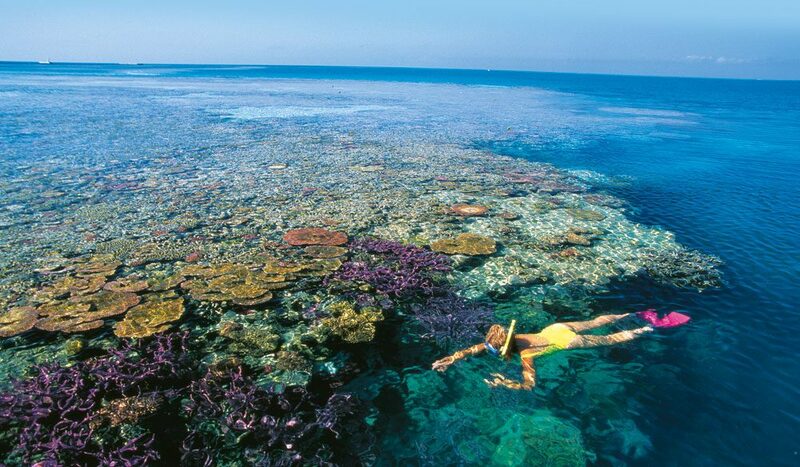 The Great Barrier Reef: A marine wonderland. It might have tied for 13th place, but there’s no denying that when it comes to beloved environmental icons, the Great Barrier Reef is number one. Here is a marine bio-diversity delight like no other, so large that you can access it from as far south as Rockhampton and as north as Cape York. No matter how many photos you’ve seen, or documentaries watched, there is nothing like entering the other world beneath that turquoise surface. If diving’s not your thing, a scenic flight, snorkel or cruise will also do wonderful things for the soul. We asked marine conservationist Inger Vandyke to share her GBR diving bucket list. • Feed the fat, friendly potato cod, and marvel at the endless coral at COD HOLE, via an overnight diving expedition from Cairns or Lizard Island. • One of Australia’s largest congregations of manta rays is on LADY ELLIOT ISLAND – some measure up to four metres! Get there by light plane from Bundaberg or Hervey Bay, or fly from Brisbane or the Gold Coast. • The entire Great Barrier Reef erupts into life with SPAWNING CORAL, on the weekend after the full moon in November each year. It’s an amazing phenomenon. • Historical ship-wreck YONGALA has become the adopted home of hugely colourful marine life. Get there by boat from Townsville or Alva Beach. • Watch sea turtles lay eggs in sandy nests, or see hatchlings forge their first paths to the ocean on HERON ISLAND from November to March. Get there by boat or light plane from Gladstone.